"alter database mount clone database" is a statement that forces all datafiles to be put OFFLINE when mounting the target instance. "recover tablespace .. auxiliary destination .."
- mount with "alter database mount clone database;"
But there's no bug number stated in the note. Even i thought that mysterious bug must have been fixed many years ago, desperation made me try the workaround with mounting the instance with "alter database mount" and manually taking the required datafiles offline. Suprisingly it worked and i was able to open the database with resetlogs. I made a presentation called "Best Practices for Exadata Maximum Availability" at BGOUG autumn event last week. In addition to general Exadata best practices about backup&recovery, disaster recovery, RAC&ASM, corruption detection features; i reserved half of my time to speak about integration of Exadata and ZFS storage appliance for the best performance of database backup&recovery. This topic is very important for ZFS SA users, because applying best practices will have a huge effect on B&R performance. Here are my slides for "Backup to ZFS Storage Appliance Best Practices for Exadata Database Machine". Find more information at the papers available on the last slide. Good new features announced, such as finding Flash Cache and Flash Log statistics on AWR, automatic ASM data redundancy check even shutting down a storage server by pressing the power button or through ILOM, preventing Flash Cache population in cell to cell rebalance, disabling SSH on Storage Servers and running CellCLI commands from Compute Nodes via new ExaCLI utility. Exadata X5-8 updates the 8-socket database server to use the latest and fastest Intel Xeon E7-8895 v3 “Haswell-EX” processors with 18 cores (vs. 15 cores in X4-8) for 20% greater performance. The HBA no longer depends on battery to retain cached data, hence eliminating the need for preventive maintenance. Compute nodes and storage servers are now enabled to use IPv6 for the management network, ILOM, and the client access network. This works for both bare metal and virtualized deployments. By default, SSH is enabled on storage servers. If required, you can "lock" the storage servers to disable SSH access.You can still perform operations on the cell using ExaCLI, which runs on compute nodes and communicates using https and REST APIs to a web service running on the cell. The new ExaCLI utility enables you to run CellCLI commands on cell nodes remotely from compute nodes. This is useful in cases where you locked the cell nodes by disabling SSH access. Oracle Exadata database nodes (running releases later than 11.2.2.4.2), Oracle Exadata Virtual Server nodes (dom0), and Oracle Exadata Virtual Machines (domU) can be updated, rolled back, and backed up in a rolling and non-rolling fashion using patchmgr in addition to running dbnodeupdate.sh standalone. Performing this update via patchmgr enables you to run a single command to update multiple nodes at the same time; you do not need to run dbnodeupdate.sh separately on each node. The patchmgr and dbnodeupdate.sh to use for this activity are shipped within the new dbserver.patch.zip which can be downloaded via document 1553103.1. See the maintenance guide for more details. You can control which commands users can run by granting privileges to roles, and granting roles to users. For example, you can specify that a user can run the "list griddisk" command but not "alter griddisk". This level of control is useful in Cloud environments, where you might want to allow full access to the system to only a few users. When updating database nodes from existing 12.1.2.1.x releases to 12.1.2.2.0 MTU settings for infiniband devices will remain the same. However touching a file (touch /opt/oracle/EXADATA_UPDATE_MTU) before starting the update, enables you to automatically adjust the settings to the Exadata default of 65520 during the update. The ALTER IORMPLAN command has a new attribute called flashcachesize which enables you to allocate a fixed amount of space in the flash cache for a database. The value specified in flashcachesize is a hard limit, which means that the database cannot use more than the specified value. This is different from the flashcachelimit value, which is a "soft" maximum: databases can exceed this value if the flash cache is not full. Added support for Columnar Flash Cache and Keep Cache. Added a section on Flash Cache Performance Summary to summarize Exadata storage cell statistics along with database statistics. The Exadata Flash Log Statistics section in the AWR report now includes statistics for first writes to disk and flash. Please see table below for the maximum number of database processes supported per database node. These numbers are higher than in previous releases. The best practice is to keep the process count below these values. If a subset of your workload is running parallel queries, the maximum database process count will be between the "Number of Processes with No Parallel Queries" column and the "Number of Processes with All Running Parallel Queries" column. Storage servers automatically collect customized diagnostic packages that include relevant logs and traces upon generating a cell alert. This applies to all cell alerts, including both hardware alerts and software alerts. The timely collection of the diagnostic information prevents rollover of critical logs. In releases earlier than 12.1.2.2.0, kdump, a service that creates and stores kernel crash dumps, was disabled on Exadata 8-socket database nodes because generating the vmcore took too long and consumed too much space. Starting with Exadata release 12.1.2.2.0, kdump is fully operational on 8-socket database nodes due to the further optimizations. If you try to shut down gracefully a storage server by pressing the power button on the front or going through ILOM, the storage server performs an ASM data redundancy check. If shutting down the storage server could lead to an ASM disk group force dismount due to reduced data redundancy, the shutdown is aborted, and all three LEDs on all hard drives blink for 10 seconds to alert the user that shutting down the storage server is not safe. You should not attempt a hard reset on the storage server. If the IP address associated with eth0 is not registered with ASR Manager, you can specify a different IP address using the new "fromIP" field in the "alter cell" command (for storage servers) or the "alter dbserver" command (for database servers). Reverse offload from storage servers to database nodes is essential in providing a more uniform usage of all the database and storage CPU resources available in an Exadata environment. In most configurations, there are more database CPUs than storage CPUs, and the ratio may vary depending on the hardware generation and the number of database and cell nodes. When a hard disk hits a predictive failure or true failure, and data needs to be rebalanced out of it, some of the data that resides on this hard disk might have been cached on the flash disk, providing better latency and bandwidth accesses for this data. To maintain an application's current performance SLA, it is critical to rebalance the data while honoring the caching status of the different regions on the hard disk during the cell-to-cell offloaded rebalance. Monitoring database servers for hardware failures in Exadata used to be an issue. We have CELLCLI for storage servers where we can make many administration tasks and set SMTP configuration to receive e-mail for hardware failures. For the DB servers we were able to configure SMTP Client on database server's ILOMs for email alerts but it was not a straightforward and easy configuration as we do in CELLCLI. With Exadata Storage Server Release 12.1.2.1.0 now we have a new command-line interface called DBMCLI to to configure, monitor, and manage the database servers. Like with the CELLCLI, we can monitor the status of hardware component, stop/start services, set thresholds, list alert history, configure SMTP with DBMCLI. An example output of "list dbserver detail"
Setting the audit_trail to OS works for a standby database but there's no option as OS_EXTENDED, so if you need sql_text and sql_bind info, this will not be the solution for you. The only solution that records sql_text and sql_bind will be XML_EXTENDED. This setting will produce xml files under audit_file_dest. The problem in this point will be querying the audit records. Here comes the view V$XML_AUDIT_TRAIL which reads the XML files on the fly into memory when queried. Database used to maintain a txt file (adx_.txt) which keeps track of the XML audit files for this reason. However, starting with 11.2.0.2 the list of the xml audit files is dynamically obtained when V$XML_AUDIT_TRAIL is queried. Starting with release 11.2.0.2, the usage of the ADX file has been removed. The ADX global, generic file is no longer maintained in the adump destination. Consequently, starting with this release, the manual maintenance of the ADX file is no longer needed. More precisely: From 11.2.0.2, the xml index file is dynamically created before creating the xml file list. This file is specific to the process as opposed to generic index file present is older versions and will have the PID suffix with the index filename. Once the operation is done, this file is deleted. Obviously it was not a brilliant idea to keep xml file list in a text file which cannot track the changes when you delete xml files from filesystem in time, thus cause ORA-600 errors. Hereby this behaviour is changed with 11.2.0.2. Anyway, to get to the main point, we can query V$XML_AUDIT_TRAIL on the standby to find out the audit records. In my case, i prepared a shell script running on the primary which connects to primary database, queries the standby V$XML_AUDIT_TRAIL via db link and insert into a table on primary, then deletes the xml files on the standby server. With this way it's possible to filter the audit data on the xml files when inserting into database. It's also possible to create need-based indexes which will speed up your audit queries or partition the table for administrative purposes. I made this presentation at Serbia Oracle User Group event in Zlatibor and Harmony 2015 event in Tallinn at last month. Both were very nice organizations that i really enjoyed, learned much and met with many Oracle experts. - To what degree, disk and cell server failures are tolerated? - How to understand if ASM is able to re-build redundancy after disk or cell failures? - What happens when multiple disks are failed consecutively and does it matter which disks failed? 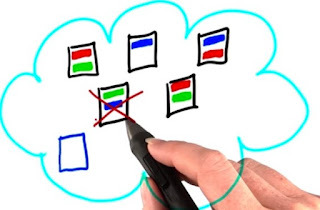 - What we need to pay attention to in terms of redundancy, when we do administrative task such as rolling restart of cell servers, resizing diskgroups, etc. ? - How can we interpret and track the "usable space" in Exadata? Hope you find it useful, and please comment for anything incomprehensive or any insertion. Online redefinition is a great way to make structural change on "big" tables having "lots of" DML. Using online redefinition, partitioning-nonpartitioning, adding-dropping columns, changing column data types, moving to another tablespace and more can be done with a very small unavailability of the table when compared with direct operations. My case was to convert a TIMESTAMP column to DATE. As a workaround to this problem, i used first TO_CHAR and then TO_DATE functions and it worked. On the other hand when converting from DATE to TIMESTAMP you can use only TO_TIMESTAMP function with no errors on 11gR2. For 10g & 11gR1 there's an issue and you get "ORA-42016: shape of interim table does not match specified column mapping" error. Following note offers a workaround for this issue by using a user defined function. The case was to roll forward a physical standby with an RMAN SCN incremental backup taken from primary. The standby database was just restored and necessary archived logs was missing somehow (That's another story). It was something i already did in the past so we set to work with my previous notes. Took the backup, copied files to standby server and recovered standby database. But the problem was, RECOVER DATABASE NOREDO statement was doing nothing so media recovery was asking for the same archived logs. Cross-checked the steps with Data Guard Concepts and Administration Guide there was nothing we were missing. 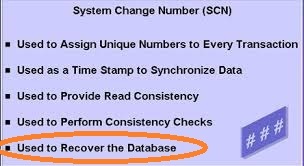 "You need to use the 'lowest SCN' from the the 3 queries below"
Again, in my case no media recovery was run on the standby and the control file was not sync with datafile headers.V$DATABASE gives information about the database from the control file and it was not the SCN i need on the incremental backup. I need the minimum SCN information on the datafile headers and that information is on x$kcvfh(Kernel Cache Recovery Component File Headers). Each row returned from this view is populated by reading the header off files on disk. While searching more on this view i realized it gives important information specially on problematic recovery cases. Mandatory Auditing causes database start-up/shut-down and SYSDBA-SYSOPER login logout information to be written into AUDIT_FILE_DEST. This auditing cannot be turned off and it's always written into operating system directory specified with AUDIT_FILE_DEST. * XML options write to operating system in XML format. * When *EXTENDED is used SQLBIND and SQLTEXT information is included in the audit trail. If not used, not included. * You can use the SQL "AUDIT" statement to set auditing options regardless of the setting of AUDIT_TRAIL parameter. However, Oracle Database does not generate audit records until you enable Standard Auditing using AUDIT_TRAIL parameter. * Auditing to OS offers higher performance when compared with DB. * DBMS_FGA package is used to manage Fine-Grained Auditing. DBA_AUDIT_POLICIES view describes all fine-grained auditing policies in the database. 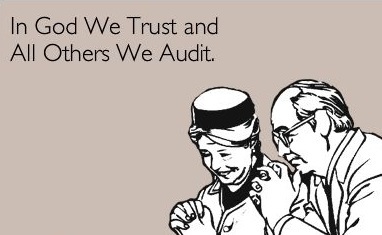 * It's not mandatory to enable Standard Auditing in order to use Fine-Grained Auditing or SYS Auditing. SYS Auditing: AUDIT_SYS_OPERATIONS parameter (TRUE/FALSE) enables or disables the auditing of SQL statements that directly issued by users connected with SYSDBA or SYSOPER privileges (SQL statements run from within PL/SQL procedures or functions are not audited). These audit records are written into OS. * It's not mandatory to enable Standard Auditing in order to use SYS Auditing.